ISLAMABAD: Pakistan conducted on Tuesday its first successful test of Ababeel missile, using the Multi Independent Re-entry Vehicle (MIRV) technology which, officials say, is a landmark achievement to neutralise India’s ballistic missile defence shield. 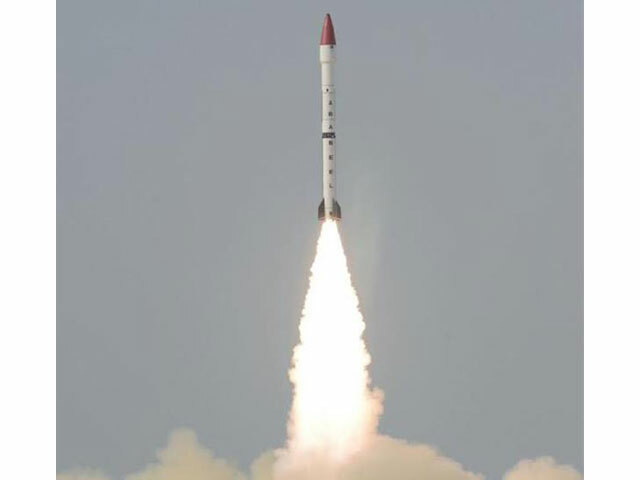 The surface-to-surface ballistic missile can reach targets at a range of 2,200 kilometres, over three times the distance between Islamabad and New Delhi, according to an official statement released by the Inter-Services Public Relations (ISPR). What is significant about this missile is that it is capable of delivering multiple warheads, using the MIRV technology. 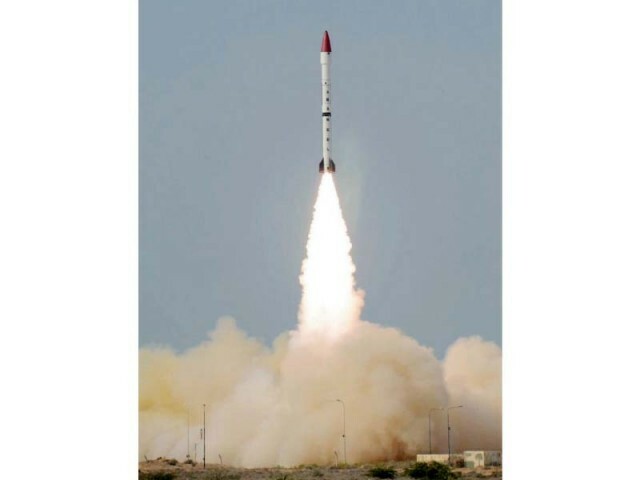 Ababeel is capable of delivering nuclear warheads and has the capability to engage multiple targets with high precision, defeating the enemy’s hostile radars, the ISPR said. The test flight was aimed at validating various design and technical parameters of the weapon system, said the military’s media wing. India last year tested a ‘locally designed’ anti-ballistic missile system, according to media reports, which could in theory intercept a nuclear-carrying ballistic missile. A senior official working in the nuclear establishment told The Express Tribune that development of Ababeel was critical given India’s rapid development of the missile defence shield. “We took minimal measures to restore deterrence equation,” said the official, who requested not to be quoted on the record because he was not authorised to speak to the media. The official said the MIRV system has been developed to defeat India’s ballistic missile defence shield. Acquiring this technology, the official said, was critical to restoring deterrence stability, which he termed as critical for regional peace. 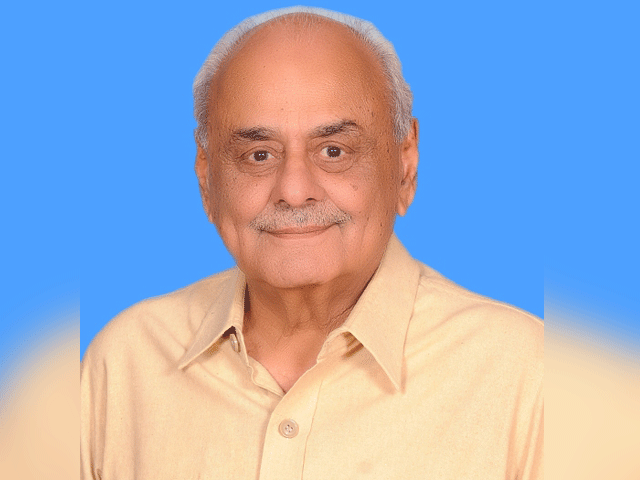 “Development of the Ababeel weapon system is aimed at ensuring survivability of Pakistan’s ballistic missiles in the growing regional Ballistic Missile Defence (BMD) environment. This will further reinforce deterrence,” the ISPR said. Last year, India claimed to have successfully tested the ballistic missile defence shield system, an expansive and complicated technology that seeks to prevent a missile attack from Pakistan. 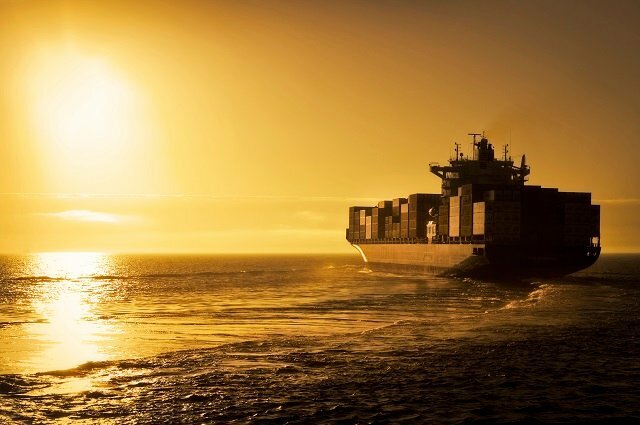 Independent observers, however, are wary of Indian claims and say it is too early for the South Asian country to acquire a technology that at present only a handful of countries possess. Pakistan has now effectively acquired the capability to launch a missile from land, air and sea. The development of submarine-launched missile system will make Pakistan retain the ability to hit back at enemy in case its first strike capability is destroyed. The upgrading of the missile programme is meant to counter India’s Cold Start Doctrine that seeks swift military action before Pakistan reacts. The country’s civil and military leadership, including President Mamnoon Hussain, Prime Minister Nawaz Sharif and the three services chiefs congratulated the scientists and engineers on the successful conduct of the missile test. The president and the prime minister conveyed their appreciation to the team involved and the country’s armed forces on this ‘landmark achievement’. Well what happens after all!! Since 1947 we are giving you the match no matter how hard and high you try and go…this is Pakistan..it will always be there to keep you at check and keep you insecure. How embarassing that at one end a real high tech achievement has been accomplished while at the other day they have accomplished a republic day motor cycle circus they do every year. In short!! Pakiatan is always there and always countering your designs and will keep doing so. Kindly search more to feel macho again. Counter shall be comming back. “If the UN Security Council has no objection over this (ICBMs), let it be. The range of Pakistan’s nuclear missiles will also see an increase,” the state-run Global Times said in an editorial, hinting that China will help Pakistan come on par with India. No further proof of Chinese origin of the missile required. Well These are for Defense Purpose. Indians Spend $ 51 Billion USD on Defense while we Pakistani’s Only spend $ 7 Billion.